Snoring can negatively affect aspects of your life, such as causing excessive tiredness and poor concentration, or relationship problems with your partner. Excessive tiredness throughout the day can also be dangerous as it can cause accidents with the use of machinery and vehicles. If you have sleep apnea you are also at risk of higher blood pressure, heart disease and stroke. Sleepwell is the most patient friendly and technically advanced device on the market. We have patients from across Glasgow and the surrounding areas who enjoy the benefits of a good nights sleep. Book a free consultation today to find out how Sleepwell can help you too. At Broomhill Dental we are delighted to provide a solution; Sleepwell, which can help improve the sleep and lives of excessive snorers with a success rate of over 80%* in clinical trials. 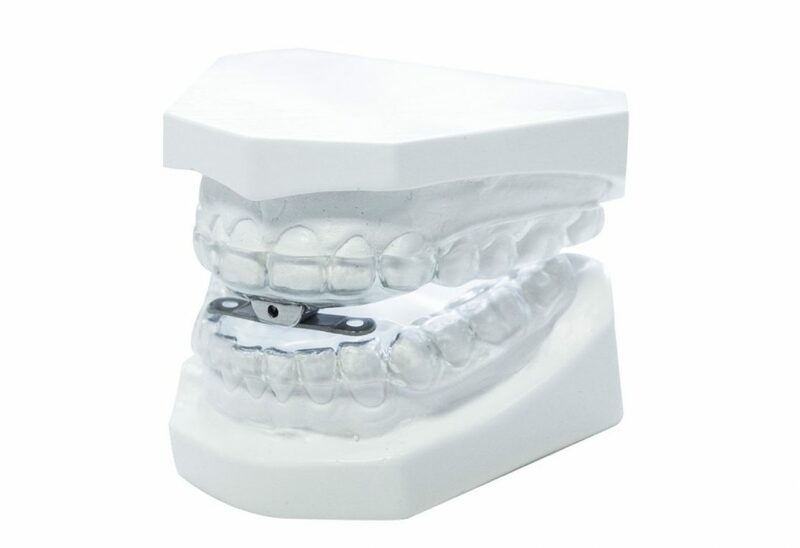 The Sleepwell device is supplied and fitted by us to exact impressions of your teeth. It is UK manufactured, fully patient adjustable and provides high levels of comfort in 98% of users.